SNOWWOLF vest needs to be connected a power bank to work,it will stop heating after power failure. power bank(Battery) is not included in this item. 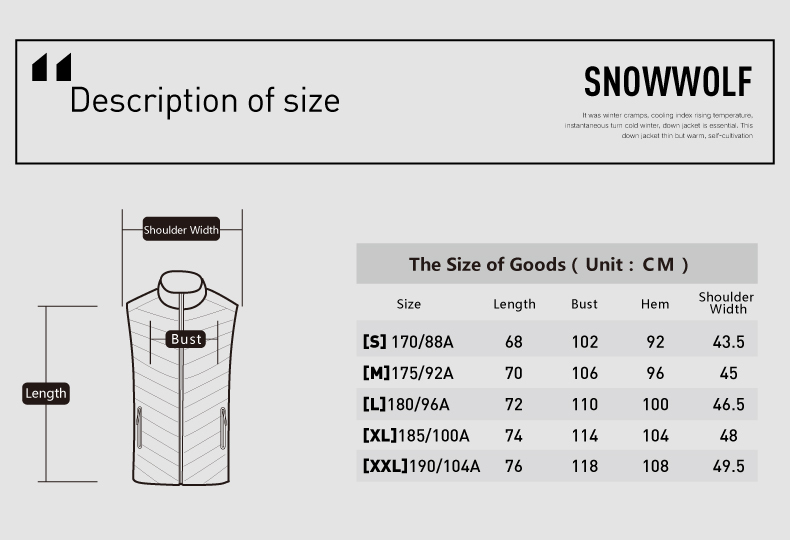 Please measure your body accoring to the size chart before you order it,thanks!